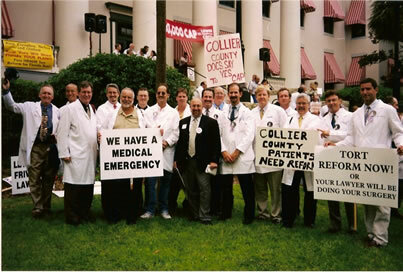 Collier County Medical Society is a professional membership association for physicians. CCMS was founded in 1957 with 10 physician members. Over the past 60 years, the Medical Society has grown to over 600 physicians representing all specialties. Our members practice in Naples, Marco Island, Immokalee, and Bonita Springs and are dedicated to bringing quality healthcare to the citizens and visitors in Collier County. CCMS is a physicians’ professional organization, and therefore is organized and defined by physicians’ interests. Membership is voluntary and physicians are not required to be members to practice in the county. Membership brings together those physicians who have an interest in organized medicine and share the same goals of maintaining high standards of clinical care in our community. Active, retired, and resident physicians are eligible for membership. The Medical Society is affiliated with the Florida Medical Association and the American Medical Association. CCMS enjoys close working relationships with medical facilities and many vendors in the county, who also support our efforts and those of our 501c3 charitable organization, The Foundation of CCMS. The Medical Society strives to act in the best interests of physicians, patients, and the public.